Some people’s pets are an absolutely critical cornerstone of their lives, providing companionship and safety. To others, or to their spouses, a pet is mere property, especially if it is rare or purebred. As such, there can actually be surprisingly fierce dispute over who may take ownership of a couple’s pets, and what asset may be forfeited in return. Sometimes the decision will be easy, and sometimes there are multiple complicating factors that can change the situation. Under Nevada law, a pet has no value in a divorce other than his or her monetary cost. Fees paid for adoption, vaccinations and licensing may be factored in, but there is no legal precedent for somehow trying to monetize the emotional value and support that a pet can give to his or her owner. Unless alternate provisions have been made (such as disposing of the issue in a prenuptial agreement), a pet is going to be part of the marriage’s community property, and given to one spouse or the other. Nevada law mandates an equal distribution of community property, unless the court finds a “compelling reason” to distribute assets unequally, and states that reason in writing. In this context, the definition of ‘compelling’ is fairly open to interpretation – a judge may be receptive to a simple statement that your bond with the animal or animals is stronger than that shared with your soon-to-be ex-spouse. However, you may have to surrender another asset in exchange, especially if your spouse knows how valuable your pet is to you. One worrying trend that is being seen more often in divorces is that when domestic violence is present in the home, a family pet may become a target in addition to the spouse or child who is the abuser’s main focus. 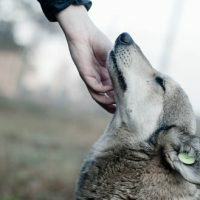 There are multiple reasons why an abusive spouse might target an animal, most having to do with asserting power and control over the animal’s owner. For example, the victimized spouse may be more inclined to stay in the marriage if they know they cannot take the animal with them if they leave. While far too many companion animals are abused as a way of harming their owners, Nevada does have some protections. It is one of the 32 states which permits the inclusion of pets on temporary protective orders along with their owners, and Nevada law explicitly states that causing harm to an animal qualifies as targeted harassment, which in turn qualifies as domestic violence. We often think that divorce only affects the two people involved, but in reality, it affects everyone from the participants to the immediate family to the marital pets. If you have questions about ensuring your pets’ well-being or any other property concerns, consulting an attorney can help. The Las Vegas asset division attorneys at the Kainen Law Group can help you be prepared for the process. Contact us today to set up an appointment.